MINNEAPOLIS -- After seven years of waiting, a Minnesota woman has finally brought home her three daughters adopted from Guatemala, CBS Minneapolis reports. Suann Hibbs of Minneapolis suburb Edina is a Delta flight attendant and a new mom who was incredibly persistent. "I am so grateful. It's God's miracle. I'm just the mommy," she said. Hibbs doesn't speak much Spanish and her girls are just beginning to learn English, but somehow they seem to understand they are now family. U.S. Sen. Amy Klobuchar played a role in convincing Guatemalan officials to approve the adoption. The country scaled back its international adoptions 2008 so that it could address corruption and child trafficking problems. It left children like the three girls in limbo -- and in orphanages. Klobuchar, D-Minn., wrote letters and met with government officials on Hibbs' behalf. "A lot of times when you personally meet with the ambassador like I did and you tell the story of these three little girls and this mother who has been trying for seven years, they listen. Human stories matter still. Even in Washington, D.C.," Klobuchar said. "They can't just keep going to five different orphanages, they needed a permanent home. We are pleased that the Guatemalan government ... it took a little time, but they got to the right place and allowed these children to be adopted," Klobuchar added. 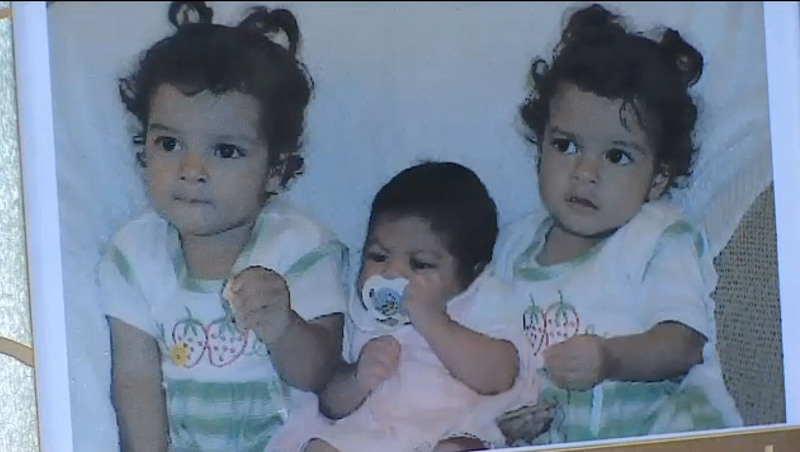 When Hibbs began her adoption journey, twins Savanna and Sophia were just 1 years old, and Sydney was a newborn. Now, seven years later, they are ready to start elementary school. "I just fell in love with them as soon as I saw them. I just thought morally, I just can't let them go," Hibbs said. The girls finally came home last week. "I still feel like this is so surreal. I mean, I just have to pinch myself. When they come in, in the morning and crawl in bed with me. I just have goose bumps thinking about it," Hibbs said. The girls will start school in two weeks and likely go to summer school as well. They've lived only in orphanages and foster homes, so they've had no formal schooling. The number of international adoptions has dropped dramatically in the last decade. It was down 62 percent between 2004 and 2012. It has declined every year since 2004. Some countries have deliberately cut back on adoptions to the U.S and others have created stricter standards in order to combat corruption and child trafficking. Countries in situations similar to Guatemala are Ethiopia, Haiti, Vietnam and Kyrgyzstan. China and South Korea have chosen to sharply limit adoptions to the U.S. as they have worked to encourage more domestic adoptions. Russia decided to curtail all adoptions to the United States.